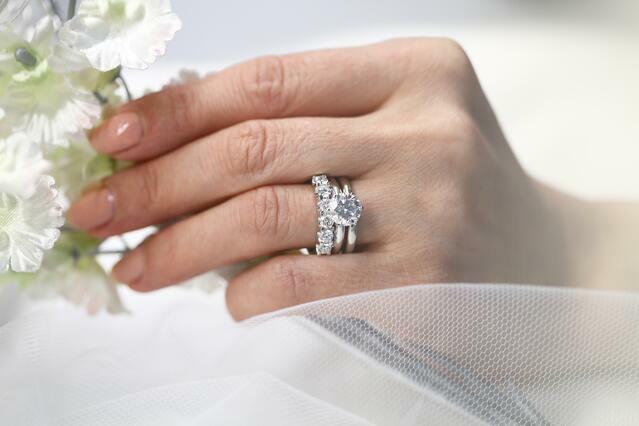 “When do I get an eternity ring?” is a question we get asked a lot at Gerard McCabe. 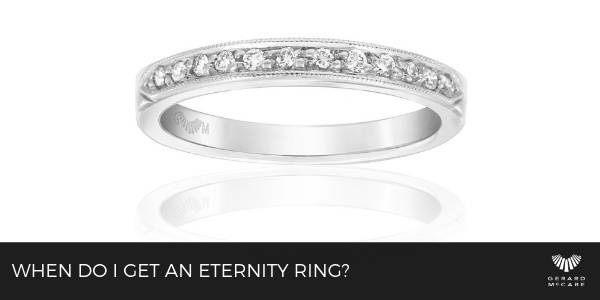 Swiftly followed by “What exactly is an eternity ring?” These are excellent questions, with no hard and fast answers. 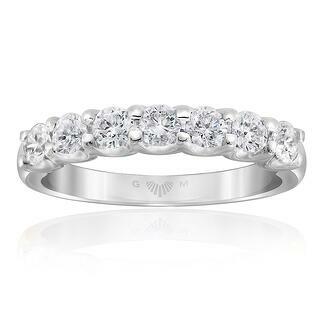 Essentially, an Eternity ring is a token of your eternal love and devotion. 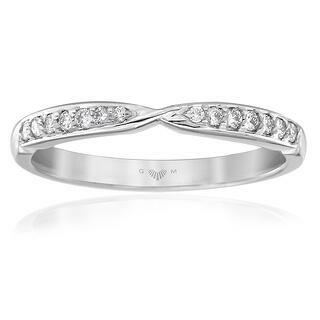 Also known as an Infinity ring, it is a band that has a continuous line of identically cut precious gems. These are usually diamonds and most often the ring is gold. The history of the Eternity ring is very interesting. Created in the 1960s by the diamond dealer DeBeers, it was aimed at an older demographic. They ran an advertising campaign with the slogan, “She married you for richer or poorer. Let her know how it’s going.” Cheeky. However, the idea of a ring denoting eternal love actually dates back to a much earlier period. The ancient Egyptians believed that the bond of marriage was so strong that it could not be interrupted by death. They symbolised their fascination and belief in the afterlife in their art. This transpired into their jewellery design too. These early Eternity rings often compromised a simple hammered gold band or torc. With an ouroboros-a snake eating its own tail, often the design. The ouroboros represents eternity and the endless cycle of life. Modern designs of Eternity rings have maintained this pleasing sense of sentimental symbolism. 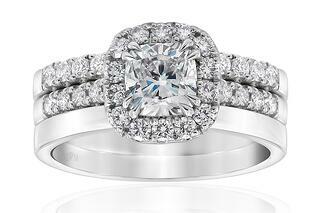 A continuous line of unbreakable diamonds on the band signifies eternity. The diamond gem itself is a representation of devotion, loyalty and undying love. So between the ancient Egyptians, the swinging 60s and modernity, not a lot has changed. The meaning and heartfelt emotion attached to an Eternity ring remains unchangeable through time. It is a beautiful message. To carry thousands of years of human meaning and emotion symbolised on your finger. So when do you get an Eternity Ring? Unlike in the 1960s, eternity rings are no longer aimed solely at an older married woman. These were then designed to be given anywhere between the ten to fifty years of marriage mark. Terribly old fashioned thinking today. 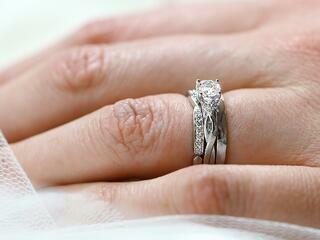 Today, you can get an Eternity ring after a year of marriage. Changing times mean that couples generally can’t wait to celebrate their commitment. Some wits have suggested that this is because a year in marriage already feels like an eternity. At Gerard McCabe, we like to think it’s the former! We recommend choosing an Eternity ring together, an act as a married couple. This way your wife or partner can choose their preferred style. Whether a half band of diamonds or committing to the full band continuous shebang. The eternity ring is designed to complement your engagement ring. It is the third ring worn on that finger. So it might be worthwhile to consider matching the two, as they will be sitting side by side for some time. It’s also worth considering if your husband would like to participate in the ceremony. Gauge his interest in his own desire to wear an Eternity ring too. We have a wide selection of modern designs for men, so you could both get his and her set if you desire. Whatever you decide, remember the eternity ring is a symbol of your ongoing love. A sigil of devotion and loyalty to your partner. If you would like one of our specialists to talk you through the process, book a consultation. We have a stunning range of eternity rings and experts on hand to help with the decision-making process. It is for eternity, after all. For more information and helpful blogs why not sign up for our newsletter?